Eric Hart is Provincial Grand Almoner, he reports to the Assistant Provincial Grand Master who has principal responsibility for the care team within the Province. Through the care structure, Eric’s key aim is to provide and maintain a centre of excellence in the care system within the Province of West Lancashire. To achieve this aim he will consult with the senior officers of the Province, executives of the various charities, his deputy and the care team. 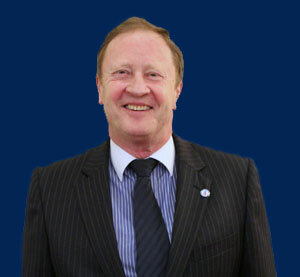 In addition Eric will endeavour to insure that the lodge and chapter almoners are fully aware of their duties and responsibilities and that there is a high level of support available to cater for their clients needs. Eric is supported by his deputy Paul Broadley, Elaine Hansen from the MCF Advice and Support team. Jon Measures the minute and supplies secretary and Jim Woods who is the Admin Support Officer. The team of admin care officers have been trained to act as specialist administrators. They are responsible for all applications, allowing lodge and chapter almoners to concentrate on pastoral care for their clients. The administration of applications to the four central Masonic Charities, under the new Masonic Charitable Foundation, and the West Lancashire Freemasons’ Charity, is carried out by the ACOs who cover specified post code areas in the Province (This has been determined geographically and not by groups or lodges). The role of the ACO is to ensure the swift and accurate completion and submission of all grant applications and re-applications within his specified area. Click on the +> button below to see the post code areas. Post code areas covered by the admin care officers. The role of the APRCOs is a dual function, the first is to provide back-up to the Admin Care Officer in the administration of applications, this will ensure there is 52 week coverage for our clients. This ensures the swift and accurate completion and submission of all applications and re-applications. The APRCOs will also give presentations to lodges, chapters and fellowship meetings to continue the important work of spreading the ‘Care’ message. The APRCOs must also be familiar and conversant with the work of, and applications procedures relevant to, the new Masonic Charitable Foundation and the West Lancashire Freemasons’ Charity. Because the almoners role has grown substantially over recent years, the new care structure was introduced in order to reduce the work load, enabling almoners to allow them to concentrate on home visits where they should aim to visit all brethren and Masonic widows at least four to six times a year. The role of the pastoral care officer is to work with lodge and chapter almoners in order to focus their support on their clients and to improve their knowledge of the care system. The PCO is also responsible for briefing the group officers in his area about any new initiatives or processes introduced in the Province by the care team for the Masonic Charitable Foundation. Jon supports widows and brethren who originate from other Provinces in all areas except the Fylde Coast. 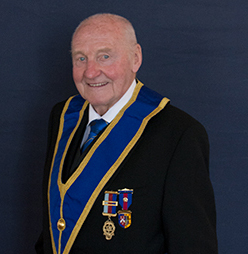 Ken supports widows and brethren in the Fylde Coast area, who originate from other Provinces.